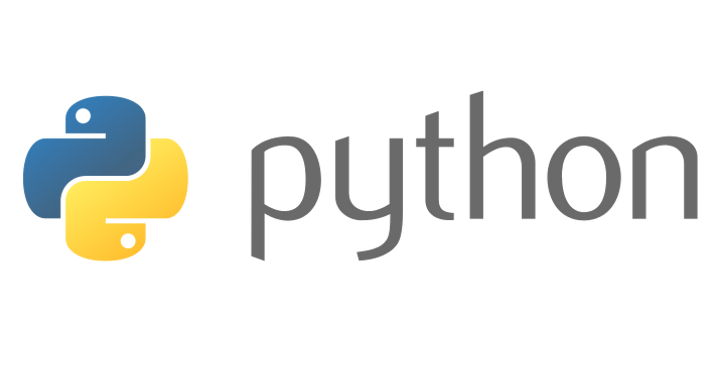 Humble implementation of a Unix like "tail" command for Elasticsearch using Python. Tested with Logstash indexed content. By default the last 10 lines of log are displayed. You can change this behaviour with --docs or -n switch. Example: To display the last 50 lines. If you don't have it, run 'sudo pip install elasticsearch' to install it. TLS error: "elasticsearch.exceptions.ConnectionError: ConnectionError(('Connection failed. 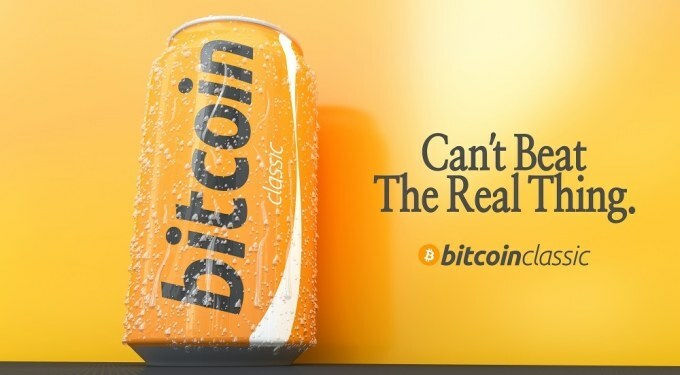 ', CannotSendRequest())) caused by: ConnectionError(('Connection failed. ', CannotSendRequest()))"
Update urllib3 running 'sudo pip install --upgrade urllib3' or use a non HTTPS Endpoint URL. Error: "check_index: No index found! Exiting"
The current script only cares for indices with the "logstash-" prefix. If you use any other prefix to index your logs it will fail. If you think this shouldn't be this way please let me know in the comments. Done for fun. Feel free to comment on bugs or additional desired features. It is well known that we can deploy an application in AWS and be fully IPv6 compliant thanks to the AAAA DNS records that every EC2 Elastic Load Balancer have at our disposal, but this does not apply to Outbound Internet connections (connections that are originated in our EC2 boxes). 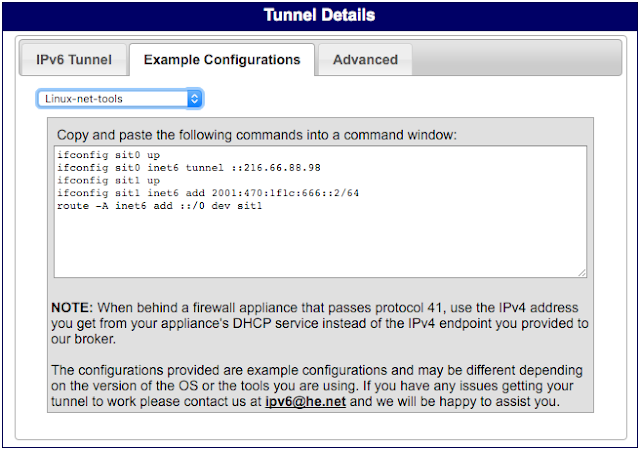 The arrival of IPv6 to EC2 could be near but meanwhile there is a way to provide outbound IPv6 connectivity to our servers thanks to Hurricane Electric tunnel broker service. I call this solution "Not Production Grade" because it is provided for free for experimentation purposes. Please read the Terms of Service (I have to say that is pretty fast and stable though). With no additional measures in place, the configuration described here will open your TCP/IP services to Internet. 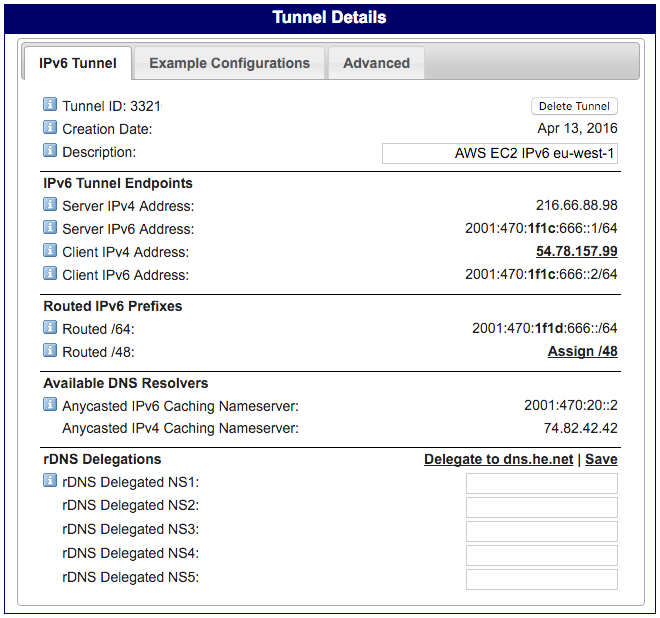 Deploying a TCP tunnel will bypass the EC2 Security Group security layer. IPv6 has no Network Address Translation (NAT) and your server will be directly connected to Internet to all effects. Enabling and configuring ip6tables is advised. - Open your EC2 Security Group to receive ICMP traffic from Hurricane Electric (This is a requisite for this tunnel provider). - Fill the field "IPv4 Endpoint (Your side)" with the Public IP of your instance. - Select an IPv4 tunnel endpoint close to your AWS region. - Once the tunnel is created we can access its details. No other changes are required, the tunnel is ready to use. - Click on "Example Configurations" to obtain the configuration guidelines for our Operative System (In our case: "Linux-net-tools" option). Note: In your case these IP addresses will vary. - At this point the new interface and the tunnel are ready. - Check our new interface sit1 and its IPv6 configuration. In this example the IP 2001:470:1f1c:666::2 is our Public IPv6 address for this server. ::/0 is the Default route in IPv6 (equivalent to 0.0.0.0/0 in IPv4). ::1 host is our localhost interface (equivalent to 127.0.0.1). In IPv6 one or more leading zeroes from any groups of hexadecimal digits are removed and consecutive sections of zeroes are replaced with a double colon (::). Notice that our telnet command has created an IPv6 connection. We didn't specify any IPv6 parameter. How come? More about that later. Check DNS Considerations at the bottom of this article to know more. Notice Hop#1. It is the other site of the tunnel. The address :666::1 is the gateway of our network. 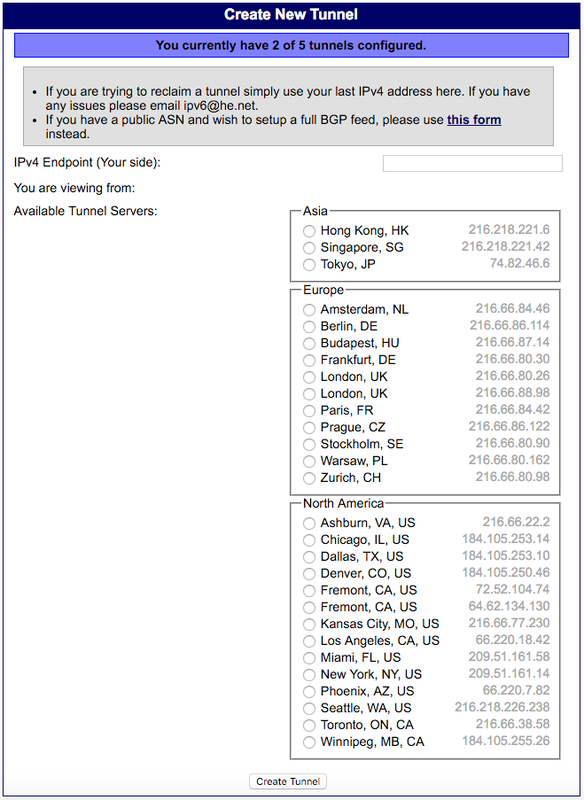 - Type in your IPv6 Address, hit Submit and wait for 10 seconds. Do you see something interesting? Yes, as mentioned before, the ports 22 and 111 are open to the network over IPv6 bypassing the security provided by the EC2 Security Groups. Creating a TCP/IP tunnel has the same effect as adding another Internet connection to our instance. That traffic is encapsulated over TCP/IP and is out of control of the traditional EC2 Security Group firewall layer. - Packets #1 and #2 are our requests and packets #3 and #4 are the answers coming back from the DNS server. - Our Linux box is resolving www.google.com twice. First with IPv4 (A) and second with IPv6 (AAAA). - Each request receives a different answer. 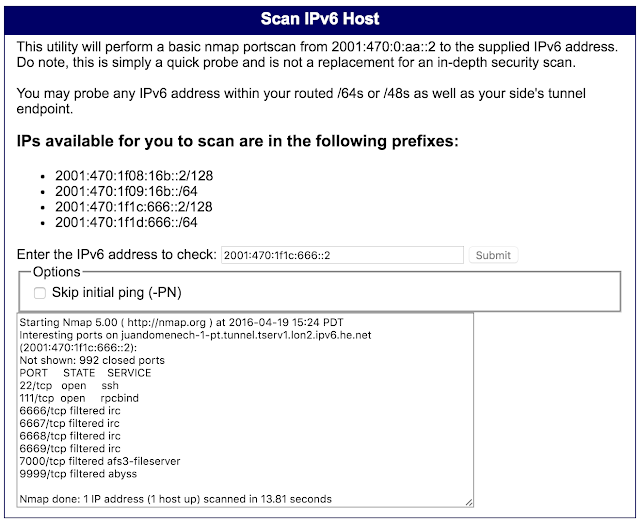 The A record receives a list of IPv4 addresses and the record AAAA receives a single IPv6 address (2a00:1450:400b:802::2004). This is the address our box has decided to use. 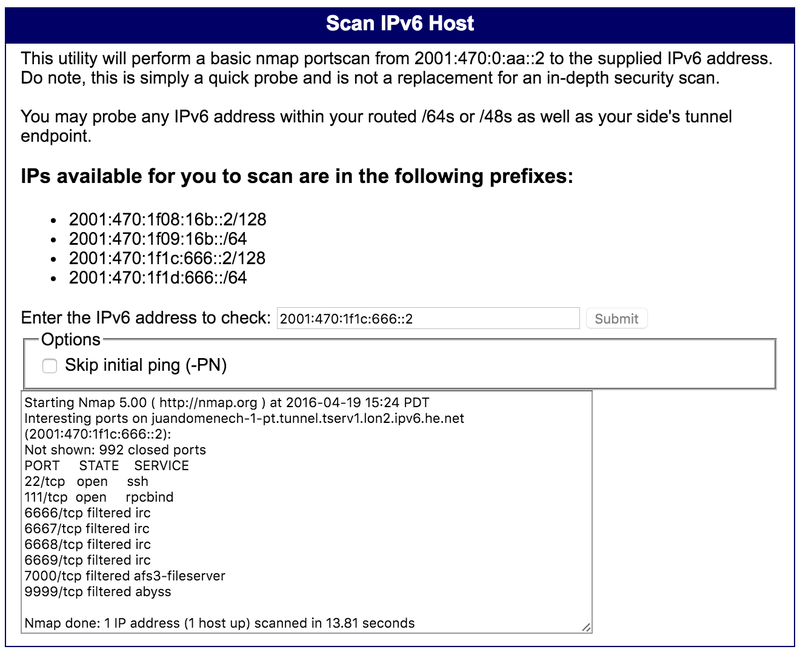 In other words, during the DNS resolution our system determines whether this host is accessible using IPv6 or not. The way to do that is asking for the AAAA DNS record and use it when present. We can do the same using dig. www.linkedin.com. 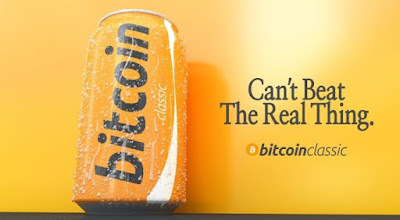 88 IN CNAME glb-any-eu.www.linkedin.com. glb-any-eu.www.linkedin.com. 88 IN CNAME any-eu.www.linkedin.com. www.facebook.com. 14 IN CNAME star-mini.c10r.facebook.com.